Once you found the user you were looking for, click on his / her name. You will see the page where you can edit user info. There are three tabs: General, Member of, and Archives. Let's take a look at General first. here you can change basically any info about the user. You can change their login name. Simply type in a new one and click Update. Display name can be changed as well. You can select a new password. To do so type in a new password and confirmation and click Set Password. If you click on Reset Password, you will be redirected to a Reset page where you should specify Email address to reset a password. You can also add a message, if you want to. 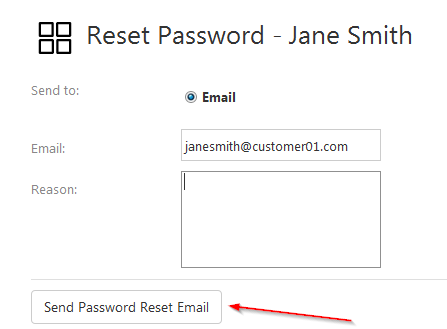 Finally, click Send Password Reset Email. But let's get back to user's info. Next you see an Expiration date for this user account. 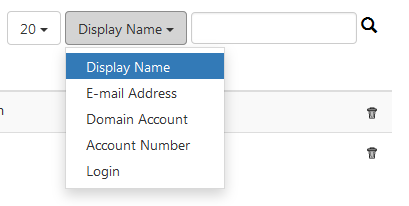 Next you can change Alternate E-mail Address for this user, and have a couple of check-boxes. Yes, you can check them all or none of them! Depends on what you need to do with this particular user. First three options are pretty self-explanatory, but what numbers 4 and 5 mean? 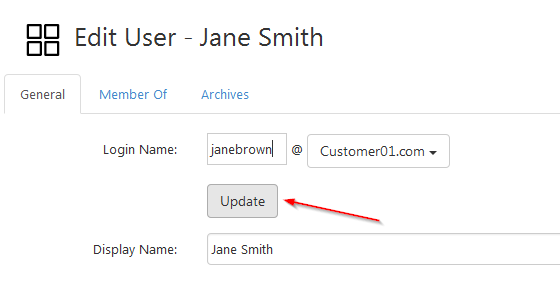 Next you can change additional info about this user, e.g. First and Last Names, External Email, Notes, Address, Contact info, Job Title, Department, etc. None of those fields is mandatory. Finally, if you're done with this particular user, click Save Changes and Exit. 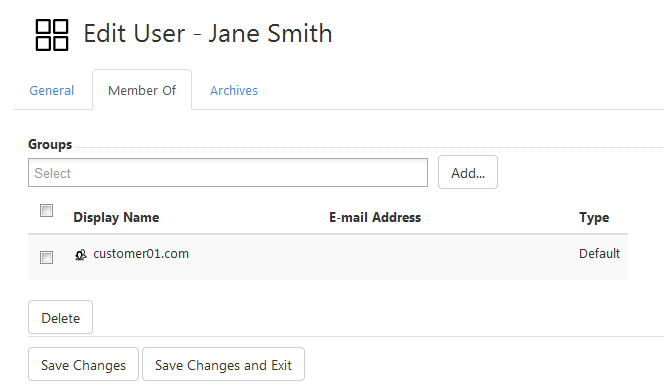 This will save user info and redirect you to the list of all users. 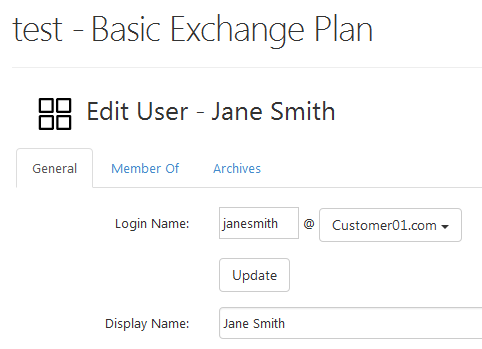 Save Changes button also saves changes, but leaves you on the same page where you can edit user details further. Now let's take a look at Member of tab. Here you can see groups where this user belongs. 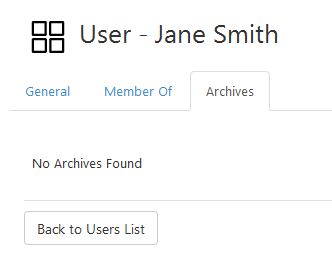 Lastly, in the Archives tab you can see whether there are any archives for this user.